I am pleased to present you with this special “2018 SOTO-SHU CALENDAR”, which are published by “The Hawaii Soto Mission Association” and “The Soto Mission of Hawaii’s Bishop’s Office” (Soto Zen Buddhism Hawaii Office). It is special because the paintings and drawings of Kuan Yin (who is the Buddhist Goddess of Great Compassion) in this calendar are my artwork. 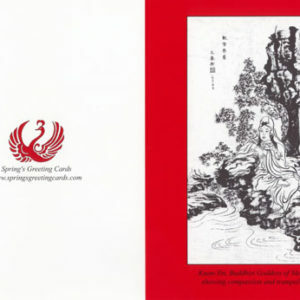 Each image of Kuan Yin is accompanied with the beautiful translation of a verse of the “Avalokiteshvara Bodhisattva Universal Gateway,” Chapter of the Lotus Sutra. The famed “Lotus Sutra” is one of the most important texts of Mahayana Buddhism and is the foundation of the Pure Land Schools. 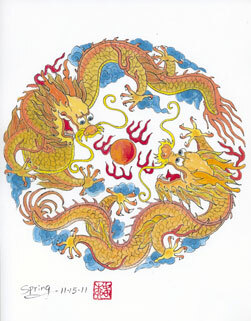 Please visit http://www.daifukuji.org/ to learn more about Daifukuji Soto Mission. 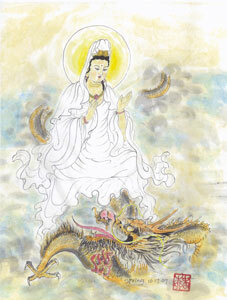 Please click following links to view above paintings and drawings of Kuan Yin on my website. The lotus is the most famous flower strongly associated with the Buddhism. 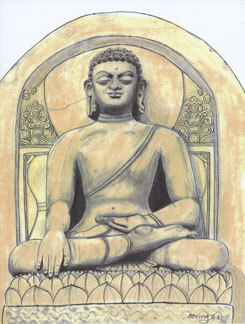 It is one of Buddhism’s most recognized symbol of enlightenment and is important in many Buddhist traditions. Because the lotus grows in muddy water, it symbolizes the purity of enlightened mind arising amidst the suffering world. It also represents non-attachment, as it is rooted in mud (attachment and desire), but its flowers blossom on long stalks unsullied by the mud below. The Buddhist Goddess of Great Compassion and one of Buddhism’s most beloved bodhisattva , Kuan Yin is also known as “She who hears the cries of the world.” She can manifest in whatever forms which will most effectively free beings from suffering. Kuan Yin originated in India as Avalokiteshvara, the male bodhisattva of compassion. He was introduced to China in the early centuries of the Common Era, but apparently there was a strong desire for a feminine face of compassion, and by the eighth century, the female form of Avalokiteshvara emerged. 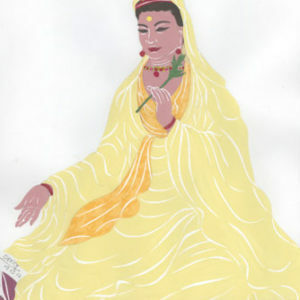 Kuan Yin had become the main representation of compassion in China, and from there her veneration spread across Asia. 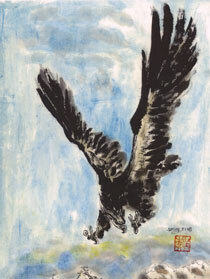 Eventually, she became known by many names, including Kannon in Japan, and Qua Am in Vietnam. When you see the silent and elegant figure of Kuan Yin, She reminds you to stand serenely in your own power. Calmly gazing upon the gentle face of Kuan Yin’s various manifestations, you will feel peaceful in moments. Her tranquil smile lifts your spirit and transforms your mood. Displaying Her image where you need Her most will bring peace and wisdom to your life. This entry was posted in Kuan Yin Calendar. Bookmark the permalink.